New York-based architecture firm Lot-Ek strives to create a new type of architecture – one that melds seamlessly with art, information and entertainment. 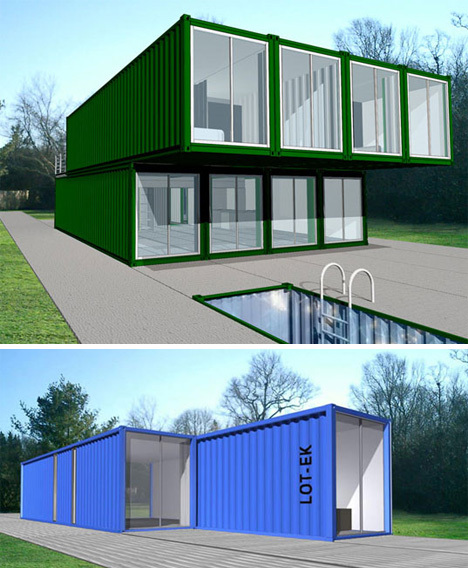 Their Container Home Kit would do just that, allowing buyers to customize the size and configuration of their new home while dictating exactly how their living space should work for them. The units come fully equipped with plumbing, wiring and even furniture, so the amount of time it would take it to be move-in-ready would be drastically shorter than the time it would take to build a traditional home.